Depending on the time of month, I can break out pretty badly and get quite a few spots. I was running out of concealer so I went to Boots to pick up my usual concealer but they'd ran out! So I was browsing the Seventeen counter and noticed that they sold a foundation that claims to clear your skin up and is also full coverage! 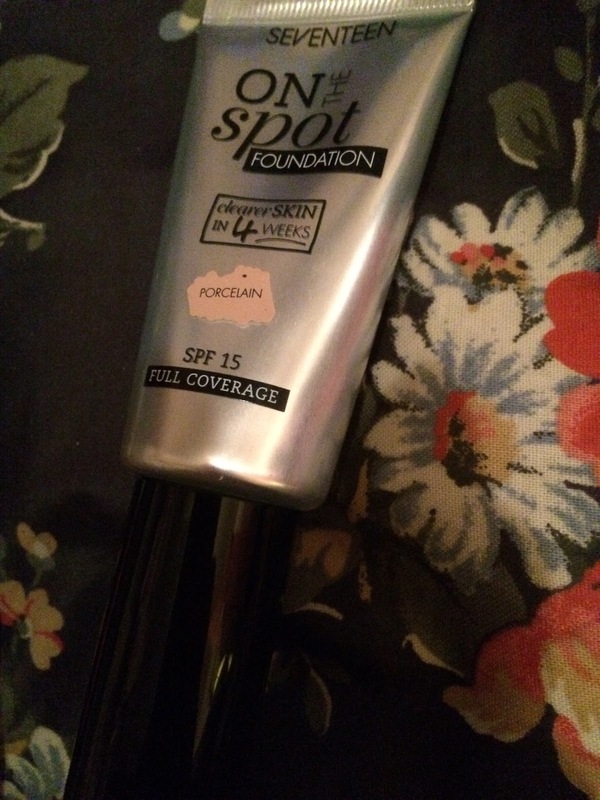 When I have spots, full coverage is essential for me so the fact that this foundation claims to benefit the skin certainly piqued my interest. The claim is that the addition of salicylic acid in their 'Skin Clear Complex' helps to clear up your skin in 4 weeks. I've been wearing 2 pumps of this all over my face underneath my Estee Lauder Double Wear Powder every day for a week now and my spots are already starting to clear up. I love how this foundation looks as well, it definitely has a blurring effect and covers all my redness and spots well - no need to use any concealer at all! I think that I will continue using this even when my skin is clear as I'm really impressed with how it makes my skin look as well as how much it is benefitting it. I wear Porcelain on my NC15 skin and it's the perfect shade. I have dry skin and this is a semi-matte finish on me - it doesn't leave me shiny or anything during the day. When I take my makeup off in the evening I get plenty of foundation on my cloth so it definitely stays on which is perfect! I'd advise you guys to try this out if you are getting spots or simply want a cheap full coverage foundation as this works really well and isn't cakey in the slightest. It actually feels fairly lightweight and silky which is strange for full coverage makeup.